The theologian as kid brother: Gregory of Nyssa (circa 335-394) was the younger brother of Basil of Caesarea, and since we traditionally call Basil “the Great,” that leaves Gregory somewhat in the shadows. With a big brother like Basil the Great, you’d have to get used to being in the shadows. 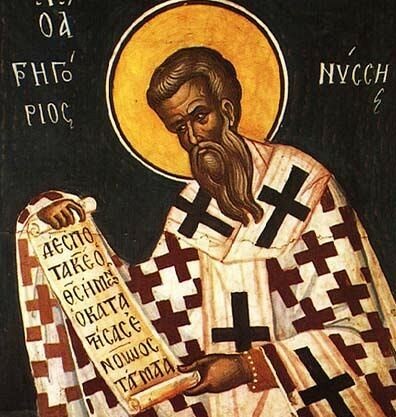 A typical scholarly assessment from the middle of the twentieth century: “The importance of Gregory of Nyssa for the development of Christian thought is very great and has often been overlooked.” Yes, overlooked again. It’s true that Basil was the great mover and shaker of the ecclesiastical and theological issues of the day. He took on Arianism when it was an established political force with decades of traction, and he out-smarted, out-argued, out-prayed, out-organized, out-maneuvered, and out-lived his opponents until he saw biblical Christian faith back in place. He pressed his college buddies (Gregory of Nazianzus) and his relatives (Gregory of Nyssa) into service to get the job done, and succeeded. Basil, Basil, Basil! That’s all I ever hear! Gregory of Nyssa, meanwhile, didn’t even get the formal education his big brother got, but instead was homeschooled by his sister Macrina. But as a scholar he would finally accomplish far more than the rest of his family. He wrote a large number of works that have attained classic status in the history of Christian thought. His thought, like his character, is sometimes naive but always profound. Gregory has three main projects in his writings: First, he aims to consolidate the great consensus of orthodox Christianity by showing the inner logic and consistency of Christian theology and refuting all heresies. Second, he wants to demonstrate that all truth is God’s truth by harmonizing revealed religion (Christianity) with the truest philosophy (Plato, Plato, Plato! That’s all I ever hear!). And Third, he wants to bring Christians to a great experience of God through mental and spiritual formation, or, as he called it in Greek: Paideia, education. There are some difficult and even dangerous passages in the book: I don’t blow the “too much Plato” whistle very often in the great tradition of Christian theology, but Nyssa comes pretty close to following Plato too closely for the gospel’s own good. More than a lot of the other church Fathers, he takes his neoplatonism pretty undiluted from Origen. Several doctrinal disturbances flow from that, and while Nyssa is often a profound Bible reader, he doesn’t use the Bible in a way that is going to disrupt his favorite philosophical commitments. But in all of these ways, Nyssa influenced centuries of later theologians, so it’s worthwhile to encounter all of these things, the good and the bad, straight from the source. 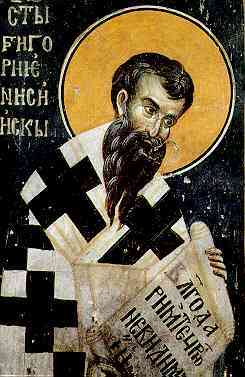 No disrespect intended to Basil the Great, but Gregory of Nyssa was also Great in his own way.